Want to be at the top of your game? Flow with it!! 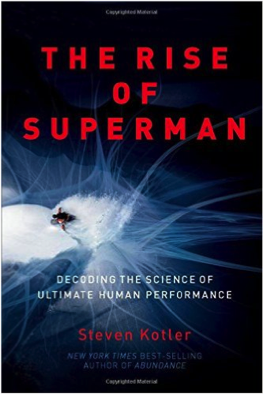 In studying the science of human performance, some of the best research has come out recently on a state called flow. 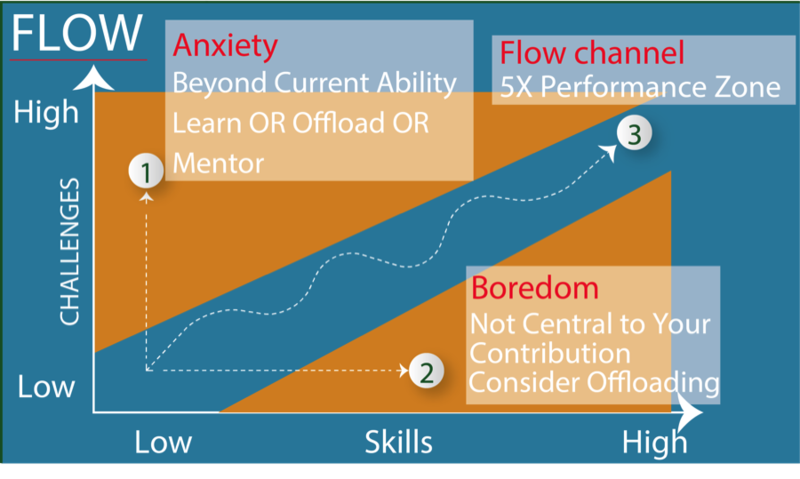 What is flow? Flow is that state when athletes are at in the zone at the top of their game, where developers are their most creative, and where musicians are in the groove. A 10-year McKinsey study of top executives found that executives in the flow state were 5x more productive. Think about what that means; that means they could come in two days a week and they would be twice as productive as their competition. 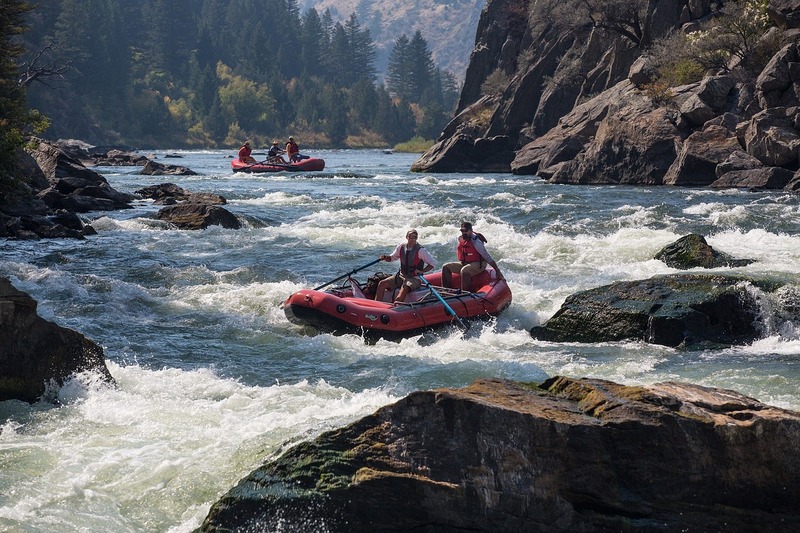 You have probably been in a flow state before, but just had no name for it. Clear Goal – You must have a clear goal to go after. If it is a goal you selected that is even better. Ability – You have to have the ability to achieve that goal. This is a fine line between too easy (boring) and too hard (anxiety). Typically, it is 4% harder than your current ability, i.e. you are stretching to achieve the goal. Immediate Feedback – Without immediate feedback, you cannot tell if you are going in the right direction, which causes a lack of clarity. Presence – You are fully engaged in what you are doing in the current moment. Turning off the Self-Critic – Your energy is all about doing, not about doubting whether you can or judging yourself. Lose Sense of Time – People in a flow state often wonder how time passed so quickly. They essentially lose track of time. This is a key indicator you are in a flow state. 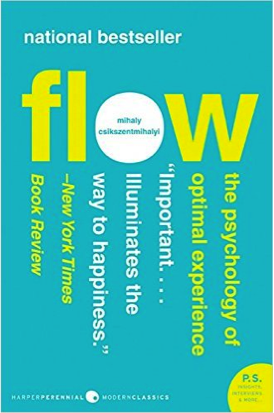 The other great benefit of flow, besides high performance, is that people that spend more time in flow are happier. They are doing something they enjoy. An interesting paradox of this is that people have more flow in work than in leisure. We want more vacations and yet are happier at work. We actually get more joy out of planning a vacation than taking one. In sports, you see people that try to disrupt the flow of their opponents or to put it another way, they try to lower the performance of their competition. In football, they call a timeout when the other team is making progress. In tennis, John McEnroe intentionally disrupted his opponents’ flow by having an outburst. However, flow is not just for sports. I recently hosted a Future of Work conference that Jamie Wheal from the flow genome project attended. He made an interesting comment that technology workers’ performance should really be measured by how long they spend in a flow state. That is the idea that flow management is performance management. Put another way, manage your flow instead of your time. So, what should you do if the task is far beyond your current ability? In a growth mindset, you would add it to a list of things to learn, offload the work, or perhaps get a mentor. If the task is too easy, it is probably a problem not central to your contribution, and you should consider offloading it. Then you can focus on the things you are best at and stay in a high-performance flow state. Just remember the flow conditions above and try to create them for what you are working on. This is precisely what the karmas service will give you the ability to do. It will allow you to find ways to learn, offload (automate or delegate), and get mentoring from many services based on your particular goals, projects, and tasks. To learn more about reaching your potential, check out the potential book. I wish you flow, happiness, and success. Solopreneuring hacks and lessons from my Phoenix Startup Week session! © 2019 The Potential Book.